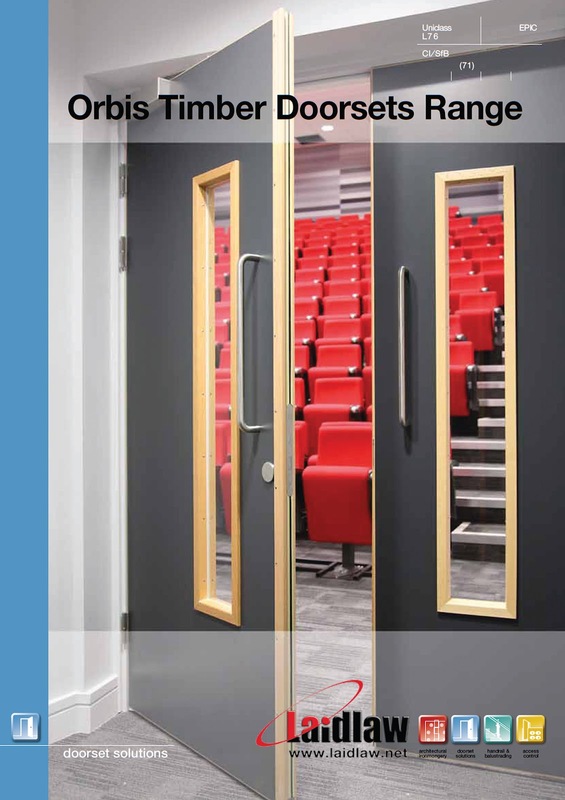 The new 40-page Orbis Timber Doorsets brochure from Laidlaw Solutions’ outlines the benefits of an integrated package of door, frame, architrave, glazing and operating hardware. In addition to information on projects in the hospitality and leisure, education and healthcare sectors, further coverage has been devoted to the use of anti-ligature hardware, inclusive design, door and side-screen glazing and a variety of access control options. Orbis Timber Doorsets can be varied to satisfy a wide range of performance requirements including fire and smoke control, sound reduction and X-ray protection and are available in a choice of softwood or hardwood frames and veneered, laminated, primed or factory-painted finishes. Scheduling is routinely undertaken for projects ranging from the largest, fast-track design projects to small commercial refurbishments. For a copy of the new Orbis Timber Doorsets brochure please call 01902 600400 or download one now from this link or view it online below.